So Jen and I have $200 from our recent fundraising drive. Thank you! B (from Vic) donated $100. And I have noticed that there is no donation yet from L. or L.
And my other Koala friends asked me to post this note to Libby. My donation was to Jennifer, I admire her work. 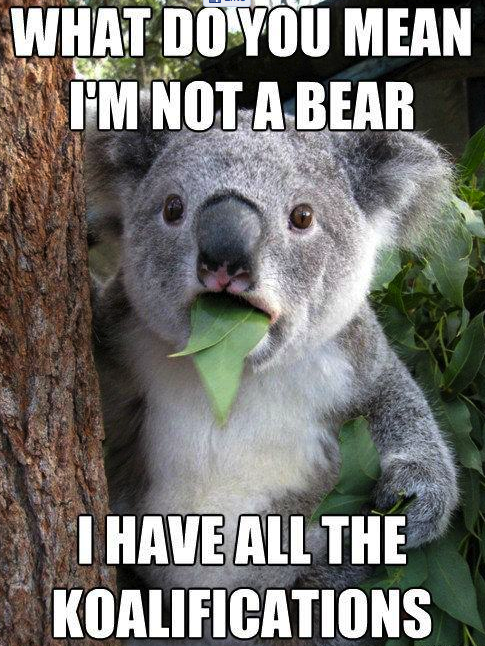 so who are you bear? I have been out of touch for the past few weeks- where is the donation link? It is very expensive to send money by wire from the US to Australia. PS I do have a Paypal account but it has been frozen on me and i have already spent too much time by email and phone trying to get it unfrozen. Apparently it was frozen because I am not allowed to received donations because I am not a registered charity.